This short 5-day safari showcases Kenya's highlights as you tour Masai Mara National Park, Lake Nakuru and Lake Naivasha. Meet the Masai Warriors, spot the Big Five and do more on this Kenya safari! Your Kenya safari begins on arrival at Nairobi as you travel to Lake Naivasha. Drive through the spectacular Great Rift Valley to arrive at the Lake Naivasha, the highest of the string of lakes that glitter down the vast trench of the Valley. Towered over by the brooding bulk of Mount Longonot (2,776 m), and featuring a submerged volcanic crater known as Crescent Island, this beautiful lake is best known for its high numbers of water birds. In the afternoon check into the luxurious Lake Naivasha Sopa Lodge. Take an optional boat ride across the Lake, or explore the shore. Visit the famous Masai Mara National Reserve today. The Masai Mara is the Kenyan side of Tanzania's Serengeti National Park. It is home to several animals including wildebeests, zebras and Thomson's gazelles. You can also spot the Big Five (lion, rhino, Cape buffalo, elephant and leopard) here along with cheetahs and hippopotamuses. Spend most part of the day driving around on safari in Masai Mara National Park and for spectacular game viewing. The park is a photographer's paradise and you get to capture some of Africa's most unique wildlife and exquisite natural beauty. Spend two days at the Masai Mara Reserve on morning and afternoon safaris. You'll also have a chance to interact with the Maasai Warriors over the course of your stay. Bid farewell to Masai Mara and travel into central Kenya to Lake Nakuru, home to thousands of flamingos. 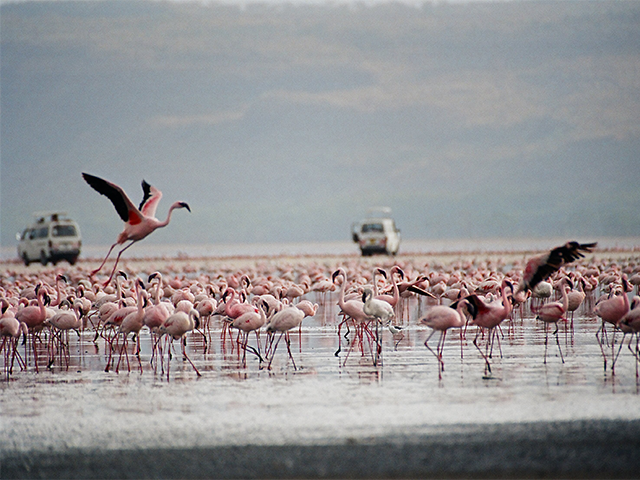 Originally a bird sanctuary, Lake Nakuru was upgraded to National Park status in 1968. Photograph colourful flamingos at the Lake and then drive around to spot black rhinoceroses, white rhinoceroses, Rothschild's giraffes, waterbucks, lions, and leopards. 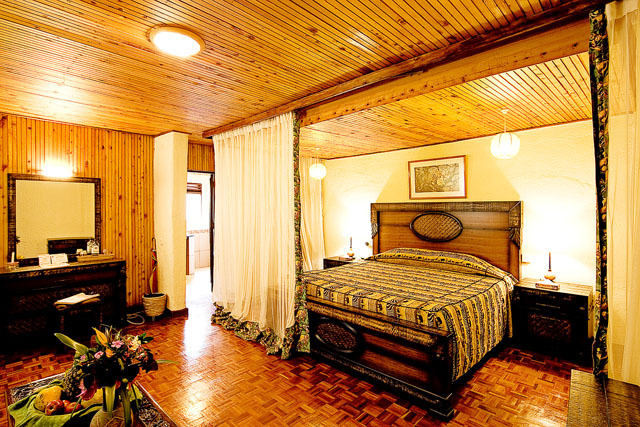 Stay the night at Lake Nakuru Lodge. 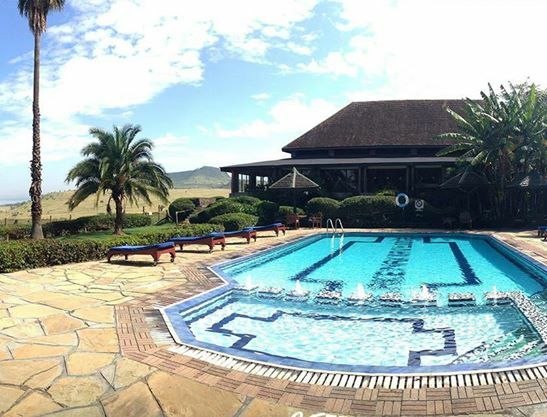 An oasis of comfort and outstanding hospitality, Lake Nakuru Lodge offers commanding views of lesser flamingos interspersed with the greater flamingos for which Lake Nakuru is justly famous. The Lodge blends in well with its surroundings and you can often see animals browsing peacefully nearby. 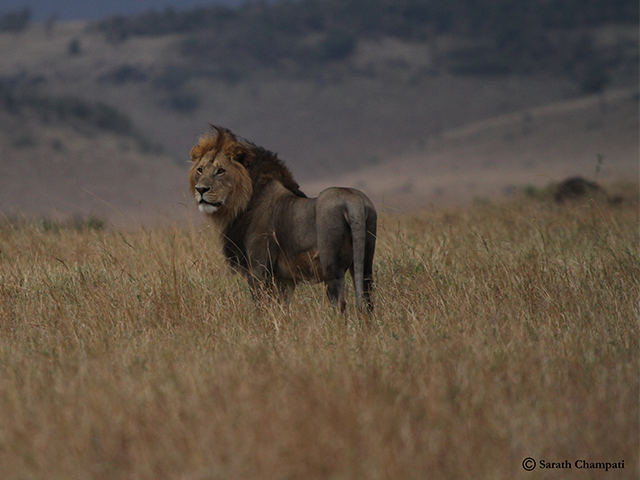 On the last day of your African wildlife holiday, leaving Lake Nakuru you drive to Nairobi, the capital of Kenya. After a farewell lunch, you will be transferred to the airport. This marks the end of your 5-day Kenya safari. Please Note : Accommodation providers are subject to change without notice. The accommodations listed in this dossier are our preferred suppliers, but sometimes due to availability issues, we are unable to make use of the property listed in this dossier. If we cannot use an accommodation provider as listed we will substitute another property of similar standards. However, en-suite facilities are not always guaranteed.